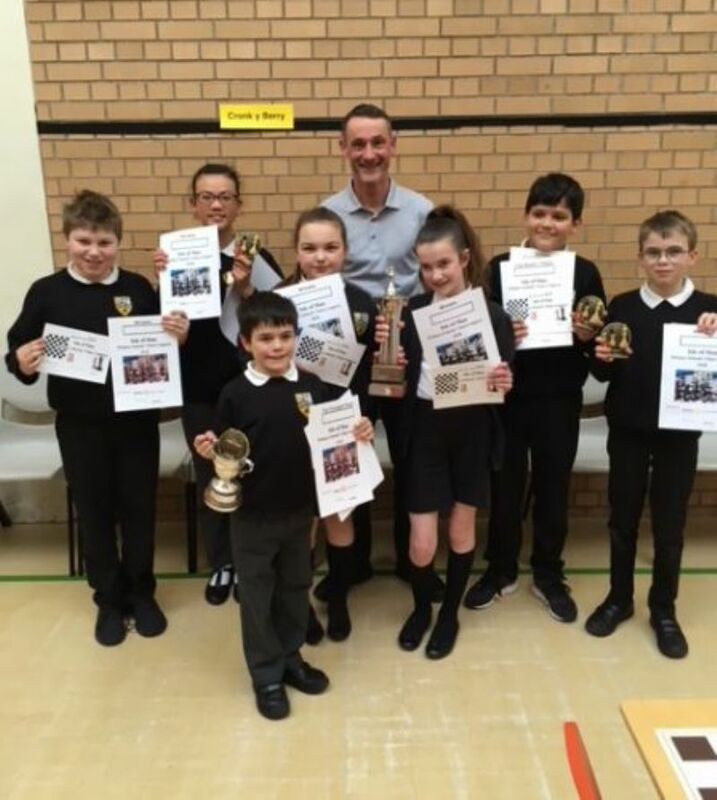 The Isle of Man Primary Schools Chess Congress was held on the afternoon of 28th March. Once again, the Congress was sponsored, as it has been for some 18 years, by The Rotary Club of Onchan. This year 14 schools took part with teams 8 pupils between the ages of 6 and 11. A wonderful sight to see so many young people playing 6 rounds of 10 minute games in complete silence, apart from the occasional sound of a chess piece falling on to the floor! At the end of the afternoon, two schools, tied on the same points played each other in the final session. The outcome was a narrow win for Cronk y Berry School over Kewaigue School. Every player present received a certificate; these and the trophies were presented by a member of the Rotary Club of Onchan. The top youngest player was Leon Martin from Cronk y Berry. There was also a small competition between the reserves. The afternoon finished with a vote of thanks to all the players, teachers and helpers and to the Rotary Cub of Onchan for Sponsoring the Competition and Presenting the prizes.